Thanks everyone for listening and showing us support, I can't thank you guys enough. Got some good news, we're now on Google Play and we're on Stitcher!!! Finally, I know, and we still have Spotify to get dialed in... Slowly but surely we will, videos and all that. But for now, lets get into this damn podcast! We are fortunate to have this guest on, I have been a fan of his comedy for quite some time, I was really stoked that he said he'd be on the podcast. So it is with great pleasure to on The Absolute best LGBTQ Comedian IN THE WORLD!!! Thee, Thai Rivera! One of my favorite things about Thai on and off stage is that he's not afraid to say what he thinks and not afraid to talk about what some feel are uncomfortable topics. In this episode Thai and I chat about social pressures and social norms. we talk about the media and the current outrage with the Catholic school kids and the Native American, who were both at the same place for protests, but for completely different reasons. I think Thai said it best in the episode, " who booked that? Those two groups at the same place at the same time? ", that is one helluva good question. 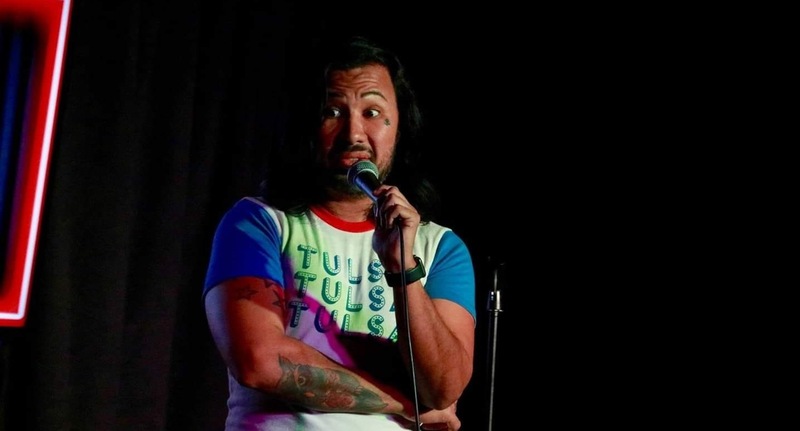 Thai also has his podcast Unbothered w/ Thai Rivera which can be found on Soundcloud Unbothered w/ Thai Rivera and you can find Thai for his comedy dates and other social media thairivera.com. oh yeah, Mikey couldn't make this one, he had some more family fun stuff to take care of, we'll have him back next go round! We get into lots of fun stuff. enjoy!